The new head of the Catholic diocese in European Russia, Bishop Paolo Pezzi of Italian descent, who was the head of the Catholic seminary in St. Petersburg, took office in Moscow on Saturday. He was elected to the rank at a catholic church in Moscow. The service was led by his predecessor in this post, Archbishop Tadeusz Kondrusiewic, who has been transferred by the Pope to his native Belarus after 16 years of service in Russia. He was assisted by the Vatican’s nuncio in Russia Antonio Mennini and Bishop Iosif Vert of Novosibirsk. Catholic bishops from Italy and Kazakhstan, and Italian and Austrian ambassadors to Russia also attended the ceremony, the information centre of the Catholic diocese told Itar-Tass. The new bishop, considered to have taken office after the ordination and the first mass, was greeted by Russian Orthodox Church priests. Deputy head of the Moscow Patriarchate’s external relations department, archpriest Vsevolod Chaplin read a message of greetings from Patriarch Alexy II of Moscow and All Russia. The Catholic diocese with its centre in Moscow covers the West-European part of Russia from Kaliningrad and St. Petersburg to Nizhny Novgorod. There are four Catholic dioceses in Russia created five years ago by the Vatican (with their centres in Novosibirsk, Irkutsk, and Saratov). The decision was criticised by the Russian Orthodox Church that had not been informed about it. The Moscow Patriarchate also resents the Vatican’s proselytising policy in Russia. Prior to the 1917 revolution in Russia there were two Catholic dioceses. 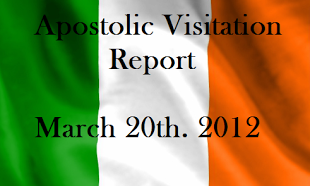 According to the Russian Justice Ministry, 220 Catholic parishes are registered in the country. There are also Franciscan and Jesuit structures. Work is underway to publish a Catholic encyclopaedia in Russian. 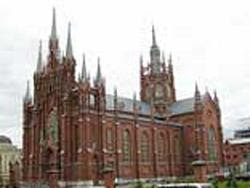 Services in Catholic churches in Moscow are held in 13 languages.